Apple gained a lot of popularity right from the time when it sold its first Apple Mac computer at the time when it also sold the first iPhone. The first generation Apple iPhone was sold in the year 2007 and since then, the tech company moved higher in the market. There are numerous companies like that manufacture smartphones and sell to the customers. Some manufactures hardware for smartphones only and use another company’s software as the operating system. On the other hand, there are companies that manufacture hardware and develop software for their smartphones. Apple is one of them. Their range of smartphones has started a revolution in today’s digital world. Apple iPhone left behind Nokia and Blackberry phones because of its elegant design and software applications. Right from its first variation, the iPhone first generation (launched in 2007) to the latest in technology, the iPhone X (launched in 2017) Apple iPhone has had a great impact on the individuals – kids, adults, and seniors. It has changed the way we communicate with our friends, family and distant people. It has also made individuals productive. Let’s take a look at how the iPhone device has created an impact on our lives and changed the way we use smartphones for our daily communication, necessities and other requirements. Before, sending and receiving e-mails were only possible using computers. The Apple iPhone included a mailing application that allowed users to exchange e-mails with one another. Now, e-mailing can be done right from your iPhone, no matter where you are. With the inclusion of maps on the range of iPhone smartphones, traveling became easier. An iPhone user could view route maps either when traveling by vehicle or walking on short routes. This led to a major advancement bringing new innovations and further improving the capabilities of the maps application on the iPhone. No other smartphone has this unique capability that is currently developed on the iPhone smartphone series. The Facetime application allows users to make video calls to other iPhone users from any location. This has also revolutionized the way people communicate with each other over the phone. The common and widely popular practice of exchanging text messages via phone expanded its usability by providing the iMessage app on the iPhone. Thus, the iPhone smartphone series has changed the way we send and receive text messages. Sending text messages, pictures, videos, sound, and location has made communication simpler and effective for users around the world. Today, you can send many types of digital data via iMessage on your iPhone. Having a smartphone to interact with its built-in artificial intelligence (AI) is also a great innovation in the field of technology. Apple developed a voice assistant that could easily take a user’s commands and reply with answers. It’s simply like you are talking to your iPhone. This developmental approach led to the creation of Siri, a voice assistant built with artificial intelligence. If a user wanted to find a certain thing or solution on the internet, instead of typing your query, you could simply speak to Siri and you would be given the relevant result. Technology has revolutionized our digital lives with their inventions and innovations. Security has also become a major concern when technology is so much in use. New security measures are implemented from time to time to protect us from any mishap that we might encounter. Risks are inevitable. 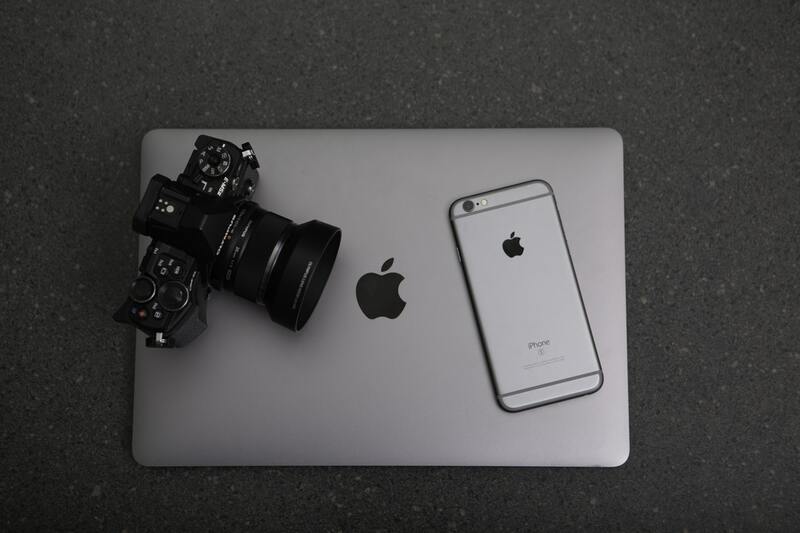 Therefore, the security that is added in the iPhone help us protect ourselves from risks, such as identity theft, loss of critical data, hacking, injecting vulnerabilities into the iPhone and so on. The Touch ID feature adds a biometric fingerprint identity sensor on the iPhone to protect users from any unauthorized access, in case you are away from your phone, or if you happen to lose your iPhone due to negligence or accidentally. The biometric fingerprint sensor authorizes only you to access your phone. The iPhone has entertainment features as well. Because users can watch movies, videos, listen to songs, record audio and video, take pictures, add music, etc., the iPhone is able to fulfill the entertainment needs of many people. Moreover, you can also sync multi-media files or data from your iPhone to your computer and vice versa. Now, you can watch your favorite movies any time and anywhere, right on your iPhone device. Apple own application repository, the App Store has also changed the way users can find useful applications and utilities for their iPhone devices. The App Store is a centralized online resource, where users can find and download many applications for their iPhone. It is true that Apple, being one of the greatest inventors of a technology of our digital world, have had such a significant iPhone Impacts and transforming us with their artificial intelligence (AI) design and development.